Disney Animation Studios’ Ralph Breaks the Internet has taken the number one spot at the box office for the second consecutive weekend, easily beating the competition. 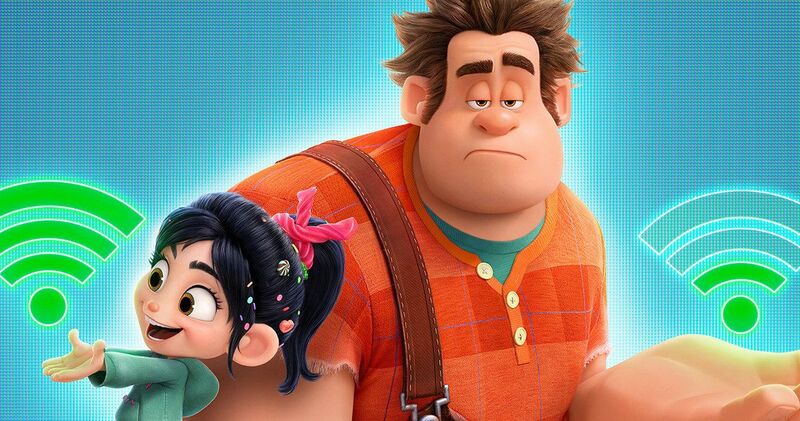 The first movie came out in 2012, and fans have been waiting six years to see the return of Ralph and Vanellope on the big screen. The sequel earned $25.7 million, which easily gave it the top spot at this weekend’s box office. In its first two weeks in theaters, Wreck-It Ralph 2 has managed to bring in a grand total of $206.9 million worldwide. Coming in at number two this weekend is Illumination’s The Grinch, which moved up from number three last weekend. The remake has been a steady earner over the holidays and it’s believed that the animated family movie will continue to earn at the box office as Christmas approaches. Creed 2 fell from number two to number three this weekend, having earned $16.8 million. Sylvester Stallone announced earlier this week that the sequel will be the last time that he ever portrays the iconic Rocky Balboa character on the big screen. Fantastic Beasts: The Crimes of Grindelwald took the number four spot this weekend after generating $11.2 million. Despite some backlash, the sequel has been performing very well at the box office, earning a total of $519.6 million worldwide since its release three weeks ago. The Queen biopic Bohemian Rhapsody earned $8.1 million over the weekend, taking the fifth spot at the box office. The movie has brought in a grand total to $539.5 million worldwide. The biopic has also had some controversy, but viewers are impressed with Rami Malek’s portrayal of iconic rock and roll front man Freddie Mercury. Mark Wahlberg’s Instant Family stayed in the number six spot this weekend, having brought in $7.1 million. The family comedy has been able to hold its own against the holiday blockbusters in the three weeks that it has been in theaters. The number seven spot goes to The Possession of Hannah Grace, which earned $6.5 million for its debut weekend, which is below initial estimates. However, it looks like the horror movie will have some lasting power at the box office during the holidays. The latest Robin Hood movie continued to stumble in its second weekend at the box office, having only brought in $4.7 million. The big budget action film was expected to do a lot better than it has, considering that it cost $100 million to make. Widows was able to stick around the top ten this weekend, taking the number nine spot with $4.4 million. The tenth spot at this weekend’s box office goes to Green Book, which earned $3.9 million. You can check out the rest of this weekend’s numbers over at Box Office Mojo.